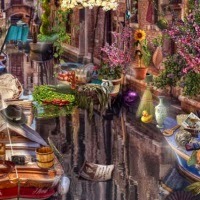 Let's travel to the wonderdul Venice in this cool Hidden 4 Fun point and click hidden objects game! You have to find the given objects at very nice parts of Venice. Don't worry if you stuck with an object, just click on the hint button for some help.